This topic describes how to create Native Client modules linked to a TV application project. In the Tizen Studio "Project Explorer" view, right-click the project. Select "New > NaCl Module". 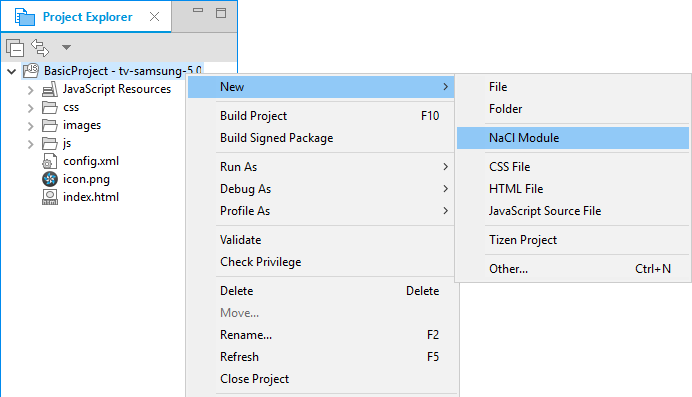 If you do not see the "NaCl Module" menu item, enable NaCl support on the project. Define the programming language and whether to create a sample, template, or empty module, and then click "Next". The sample modules introduce how to implement various basic NaCl features. For more information, see Sample-based Tutorials. The template module includes code stubs for the interfaces you select from the list. The empty module is a basic NaCl module that does not provide any functionality. It contains only code stubs for the important functions that must be implemented. 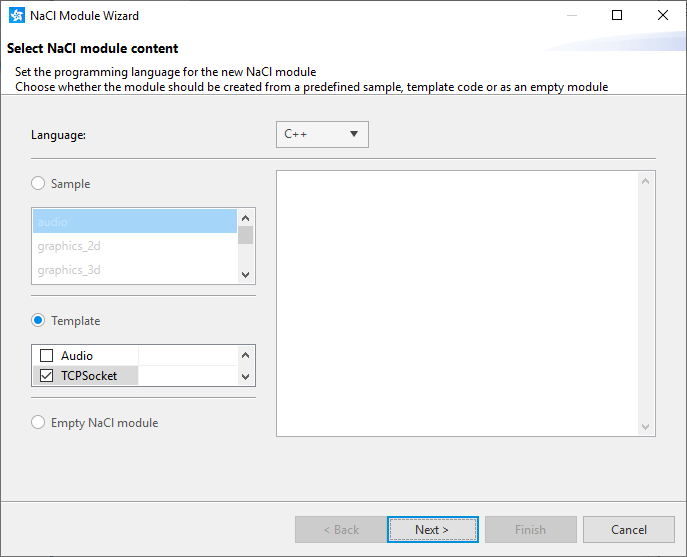 Define the module name, header file location, and source file location, and click "Next". The module name must be unique in the current workspace. 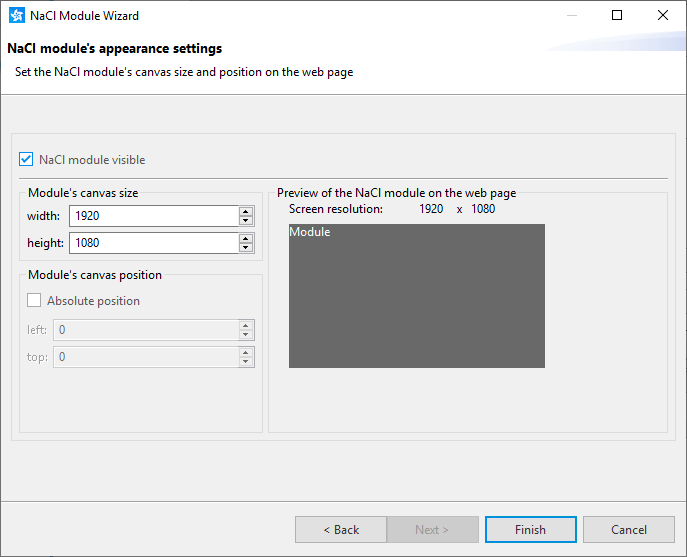 If you have selected a sample module, the position and size controls are disabled. 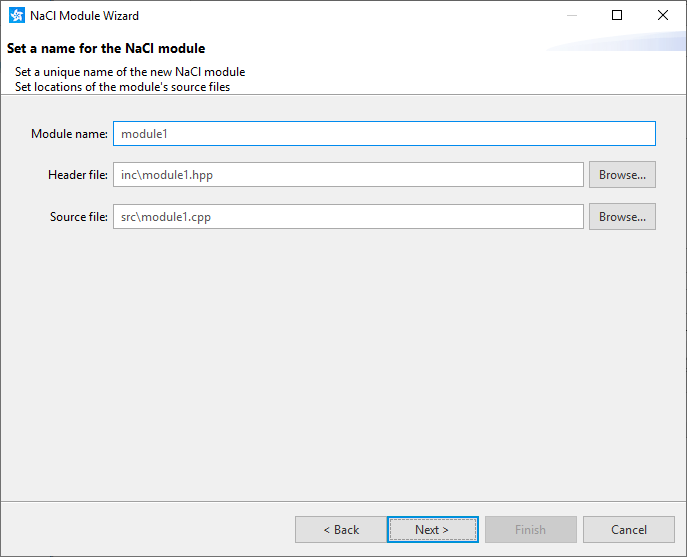 The module is created within the "nacl_modules" folder in the TV application project. It also appears as its own project in the "Project Explorer" view, so you can configure, develop, and test the module separately.